To be described as “the most amazing dancers I have ever seen in my life—ever” by no less an authority as Mikhail Baryshnikov, one of the greatest male ballet dancers of all-time, you begin to get the weight of just how phenomenal the Nicholas Brothers were, yet most people haven’t even heard of them – a somewhat tragic state of affairs. Whilst Gene Kelly (with whom they shared the ‘Be A Clown’ routine in the 1948 movie ‘The Pirate’) and Fred Astaire became household names, hailed amongst Hollywood brightest stars, the brothers, Harold & Fayard, due to their skin colour, were never given the same opportunities, but thankfully a series of precious bit part performances, most notably in early ’40s films ‘Down Argentine Way’ (1940), ‘Tin Pan Alley’ (1940), ‘The Great American Broadcast’ (1941), ‘Sun Valley Serenade’ (1941), ‘Orchestra Wives’(1942)’, and the movie featured here, ‘Stormy Weather’ (1943), captured their genius so that future generations may know their true measure. 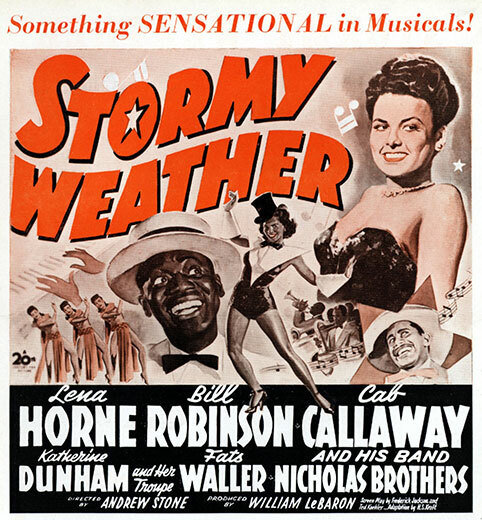 Watching their staggering performance in ‘Stormy Weather’, the first all-black musical, you’re left wondering where they might have taken dance had the social context been different, and they’d been allowed, like Astaire & Kelly, to develop their choreographic ideas to the full. Even Astaire himself graciously acclaimed this as “the greatest dance number ever filmed”. 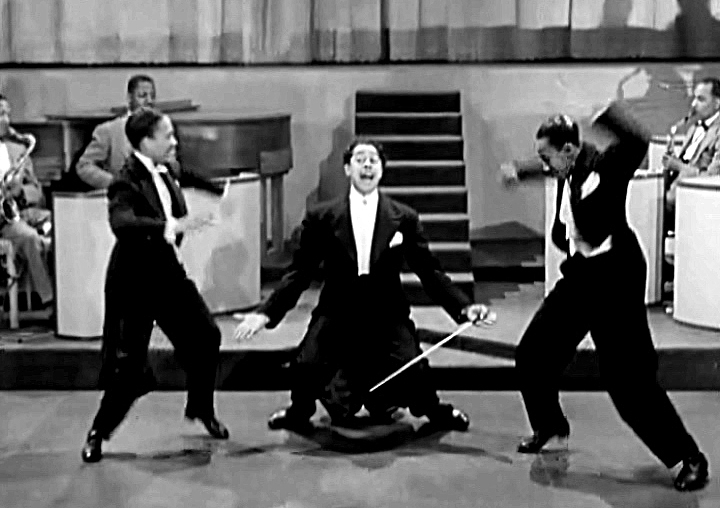 Great blog, great pic, one of my fav dance routines in this video, by a couple of the best dancers you’ll ever see, The Nicholas Brothers. Cab Calloway, a complete one off genius. Gregory Hines, a master in dance himself, gives a great introduction, and an insight into the impact The Nicholas Brothers, and particularly in this dance routine had on him. This routine was one of the highlights of your Reels of Steel set. I’ve really enjoyed finding out a bit more about it. Nice one Greg.